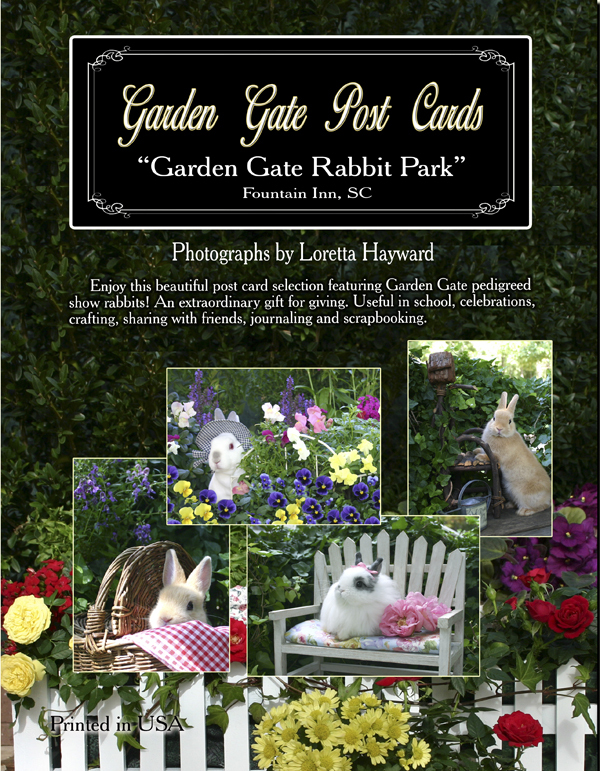 Meet more of Garden Gate's rabbits in our beautiful collection of post cards. All of these colorful post cards printed on glossy cardstock are sharp photographs taken by Loretta Hayward. 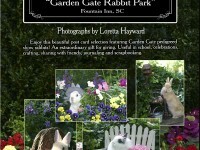 See our lovely varieties of eight rabbit breeds in heart warming poses ready for you to post greetings to your friends. Our post card book has 20 extraordinary full color post cards that will make your correspondence so very special!